How do you make friends at TV stations? One word: food. Especially if you show up for an afternoon talk show with a tableful of appetizers and entrees for a Super Bowl party. Happily, the crew made quick work of helping us clean up after the segment! 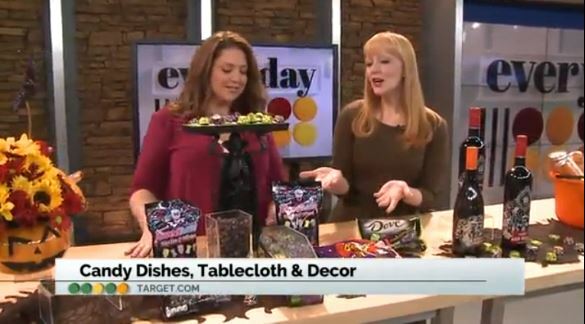 As a followup to yesterday's post, here is a clip of today's segment on "game day celebration ideas" on "Afternoon Live" on ABC Portland. (Be warned, however: this may make you hungry).